Barzun, Jacques. 1961. Classic, Romantic, and Modern. University of Chicago Press. ISBN 9780226038520. Berlin, Isaiah, "The Counter-Enlightenment" in The Proper Study of Mankind: An Anthology of Essays, ISBN 0-374-52717-2. Garrard, Graeme, "The War Against the Enlightenment", European Journal of Political Theory, 10 (2011): 277-286. Israel, Jonathan, Enlightenment Contested, Oxford University Press, 2006. ISBN 978-0-19-954152-2. Masseau, Didier, Les ennemis des philosophes:. l’antiphilosophie au temps des Lumières, Paris: Albin Michel, 2000. McMahon, Darrin M., Enemies of the Enlightenment: The French Counter-Enlightenment and the Making of Modernity details the reaction to Voltaire and the Enlightenment in European intellectual history from 1750 to 1830. Norton, Robert E. "The Myth of the Counter-Enlightenment," Journal of the History of Ideas, 68 (2007): 635–658. Schmidt, James, What Enlightenment Project?, Political Theory, 28/6 (2000), pp. 734 – 57. Schmidt, James, Inventing the Enlightenment: Anti-Jacobins, British Hegelians and the Oxford English Dictionary, Journal of the History of Ideas, 64/3 (2003), pp. 421 – 43. Wolin, Richard, The Seduction of Unreason: The Intellectual Romance with Fascism from Nietzsche to Postmodernism (Princeton University Press) 2004, sets out to trace "the uncanny affinities between the Counter-Enlightenment and postmodernism." ^ Aspects noted by Darrin M. McMahon, "The Counter-Enlightenment and the Low-Life of Literature in Pre-Revolutionary France" Past and Present No. 159 (May 1998:77–112) p. 79 note 7. Although objections have consistently been raised against what has been taken as the typical Enlightenment view of reason by its opponents (on all points of the ideological spectrum, left, right, and centre), this has almost never been generalised to reason as such by Counter-Enlightenment thinkers. Some charge that the Enlightenment inflated the power and scope of reason, while others claim that it narrowed it. However, very few of the enemies of the Enlightenment have abandoned reason entirely. The battle has been over the scope, meaning and application of reason, not over whether it is good or bad, desirable or undesirable, essential or inessential per se. The conflict between the Enlightenment and the Counter-Enlightenment is not a conflict between friends and enemies of reason, any more than it is between friends and enemies of the notion of enlightenment. What seems to unite all of the Enlightenment's disparate critics (from 18th century religious opponents, counter-revolutionaries and Romantics to 20th century conservatives, feminists, critical theorists and environmentalists) is a rejection of what they consider to be the Enlightenment's perversion of reason: the distorted conceptions of reason of the kind each associates with the Enlightenment in favour of a more restricted view of the nature, scope and limits of human rationality. The Enlightenment's "perversion of reason"
Michel Foucault, for example, argued that attitudes towards the "insane" during the late-18th and early 19th centuries show that supposedly enlightened notions of humane treatment were not universally adhered to, but instead, that the Age of Reason had to construct an image of "Unreason" against which to take an opposing stand. Berlin himself, although no postmodernist, argues that the Enlightenment's legacy in the 20th century has been monism (which he claims favours political authoritarianism), whereas the legacy of the Counter-Enlightenment has been pluralism (something he associates with liberalism). These are two of the 'strange reversals' of modern intellectual history. While this influential book takes 'enlightenment' as its target, this includes its 18th century form – which we now call 'the Enlightenment' – epitomised by the Marquis de Sade. Many postmodern writers and some feminists (e.g. Jane Flax) have made similar arguments, likewise seeing the Enlightenment conception of reason as totalitarian, and as not having been enlightened enough since, for Adorno and Horkheimer, though it banishes myth it falls back into a further myth, that of individualism and formal (or mythic) equality under instrumental reason. It was not until after totalitarianism. The locus classicus of this view is Max Horkheimer and Theodor Adorno's Dialectic of Enlightenment (1947), which traces the degeneration of the general concept of enlightenment from ancient Greece (epitomised by the cunning 'bourgeois' hero Odysseus) to 20th century fascism. (They say little about Soviet communism, referring to it as a regressive totalitarianism that "clung all too desperately to the heritage of bourgeois philosophy"). By the middle of the 19th century, the memory of the French Revolution was fading and Romanticism had more or less run its course. In this optimistic age of science and industry, there were few critics of the Enlightenment, and few explicit defenders. Friedrich Nietzsche is a notable and highly influential exception. After an initial defence of the Enlightenment in his so-called 'middle period' (late-1870s to early 1880s), Nietzsche turned vehemently against it and subscribed to the earlier view of conservative Counter-Revolutionaries like Burke and Maistre who attributed the French Revolution (which Nietzsche always hated) to the Enlightenment. The philosopher Jacques Barzun argues that Romanticism had its roots in the Enlightenment. It was not anti-rational, but rather it balanced rationality against the competing claims of intuition and the sense of justice. 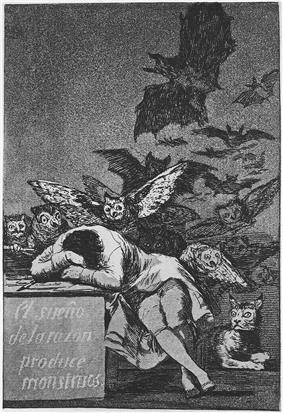 This view is expressed in Goya's Sleep of Reason (left), in which the nightmarish owl offers the dozing social critic of Los Caprichos a piece of drawing chalk. Even the rational critic is inspired by irrational dream-content under the gaze of the sharp-eyed lynx. Marshall Brown makes much the same argument as Barzun in Romanticism and Enlightenment, questioning the stark opposition between these two periods. The Sleep of Reason Produces Monsters, c. 1797, 21.5 cm × 15 cm. One of the most famous prints of the Caprichos. Many early Romantic writers such as Chateaubriand, Novalis and Samuel Taylor Coleridge inherited this Counter-Revolutionary antipathy towards the philosophes. All three directly blamed the philosophes in France and the Aufklärer in Germany for devaluing beauty, spirit and history in favour of a view of man as a soulless machine and a view of the universe as a meaningless, disenchanted void lacking richness and beauty. Of particular concern to early Romantic writers was the allegedly anti-religious nature of the Enlightenment since the philosophes and Aufklarer were generally deists, opposed to revealed religion. Yet many Romantic poets were either Deists or Pantheists, and neither they nor the Enlightenment Deists can be considered anti-religious, unless in a fundamentalist sense. Rather, they questioned the idea of a personal anthropomorphic God who interfered with the laws of nature. Some historians nevertheless contend that this view of the Enlightenment as an age hostile to religion is common ground between these Romantic writers and many of their conservative Counter-Revolutionary predecessors. However, Chateaubriand, Novalis and Coleridge are exceptions here: few Romantic writers had much to say for or against the Enlightenment and the term itself did not exist at the time. For the most part, they ignored it. Although serious doubts were raised about the Enlightenment prior to the 1790s (e.g. in the works of Jean-Jacques Rousseau in France and J.G. Hamann in Germany in particular), the Reign of Terror during the French Revolution fueled a major reaction against the Enlightenment, which many writers blamed for undermining traditional beliefs that sustained the ancien regime, thereby fomenting revolution. Counter-revolutionary writings like those of Edmund Burke, Joseph de Maistre and Augustin Barruel all asserted a close link between the Enlightenment and the Revolution, as did many of the revolutionary leaders themselves, so that the Enlightenment became increasingly discredited as the Revolution became increasingly bloody. That is why the French Revolution and its aftermath was also a major phase in the development of Counter-Enlightenment thought. For example, while Edmund Burke's Reflections on the Revolution in France (1790) contains no systematic account of the connection between the Enlightenment and the Revolution, it is heavily spiced with hostile references to the French revolutionaries as merely politicised philosophes. Barruel argues in Memoirs Illustrating the History of Jacobinism (1797) — one of the most widely read books of its period — that the Revolution was the consequence of a conspiracy of philosophes and freemasons. In Considerations on France (1797), Maistre interprets the Revolution as divine punishment for the sins of the Enlightenment. Political thinker Edmund Burke opposed the French Revolution in his Reflections on the Revolution in France. This argument has been taken a step further by some, like intellectual historian James Schmidt, who question the idea of the 'Enlightenment' and therefore of the existence of a movement opposing it. As our conception of the 'Enlightenment' has become more complex and difficult to maintain, so too has the idea of the 'Counter-Enlightenment'. Advances in Enlightenment scholarship in the last quarter-century have challenged the stereotypical view of the 18th century as an 'Age of Reason', leading Schmidt to speculate on whether the Enlightenment might not actually be a creation of its enemies, rather than the other way round. The fact that the term 'Enlightenment' was first used in 1894 in English to refer to a historical period (see Schmidt 2003) lends support to the argument that it was a late construction projected back onto the 18th century. In his 1996 article in the American Political Science Review (Vol. 90, No. 2), Arthur M. Melzer identifies the origin of the Counter-Enlightenment in the religious writings of Jean-Jacques Rousseau, showing Rousseau as the man who fired the first shot in the war between the Enlightenment and its enemies. Graeme Garrard follows Melzer in his "Rousseau's Counter-Enlightenment" (2003). This contradicts Berlin's depiction of Rousseau as a philosophe (albeit an erratic one) who shared the basic beliefs of his Enlightenment contemporaries. Also, like McMahon, it traces the beginning of Counter-Enlightenment thought back to France and prior to the German Sturm und Drang movement of the 1770s. Garrard's book Counter-Enlightenments (2006) broadens the term even further, arguing against Berlin that there was no single 'movement' called 'The Counter-Enlightenment'. Rather, there have been many Counter-Enlightenments, from the middle of the 18th century through to 20th century Enlightenment critics among critical theorists, postmodernists and feminists. The Enlightenment has enemies on all points of the ideological compass, from the far left to the far right, and all points in between. Each of the Enlightenment's enemies depicted it as they saw it or wanted others to see it, resulting in a vast range of portraits, many of which are not only different but incompatible. 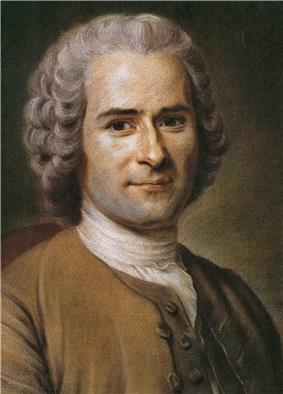 Graeme Garrard traces the origin of the Counter-Enlightenment to Rousseau. In his book Enemies of the Enlightenment (2001), historian encyclopédistes and fought an often dirty battle to prevent the dissemination of Enlightenment ideas in the second half of the century. A great many of these early opponents of the Enlightenment attacked it for undermining religion and the social and political order. This later became a major theme of conservative criticism of the Enlightenment after the French Revolution appeared to vindicate the warnings of the anti-philosophes in the decades prior to 1789. Berlin argues that, while there were enemies of the Enlightenment outside of Germany (e.g. 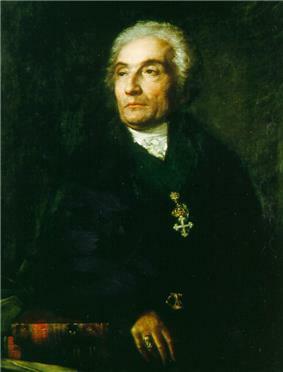 Joseph de Maistre) and before the 1770s (e.g. Giambattista Vico), Counter-Enlightenment thought did not really 'take off' until the Germans 'rebelled against the dead hand of France in the realms of culture, art and philosophy, and avenged themselves by launching the great counter-attack against the Enlightenment.' This reaction was led by the Königsberg philosopher J. G. Hamann, 'the most passionate, consistent, extreme and implacable enemy of the Enlightenment', according to Berlin. This German reaction to the imperialistic universalism of the French Enlightenment and Revolution, which had been forced on them first by the francophile Frederick II of Prussia, then by the armies of Revolutionary France, and finally by Napoleon, was crucial to the epochal shift of consciousness that occurred in Europe at this time, leading eventually to Romanticism. According to Berlin, the surprising and unintended consequence of this revolt against the Enlightenment has been pluralism, which owes more to the Enlightenment's enemies than it does to its proponents, some of whom were monists, whose political, intellectual and ideological offspring have been terreur and totalitarianism. 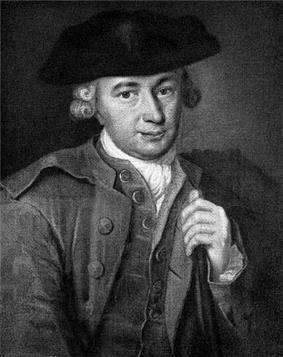 Isaiah Berlin traces the Counter-Enlightenment back to J. G. Hamann (shown). Although the term 'the Counter-Enlightenment' was first used in English (in passing) by William Barrett in a 1949 article ("Art, Aristocracy and Reason") in Partisan Review, it was Isaiah Berlin who established its place in the history of ideas. He used the term to refer to a movement that arose primarily in late 18th and early 19th century Germany against the rationalism, universalism and empiricism commonly associated with the Enlightenment. Berlin's widely read essay "The Counter-Enlightenment" was first published in 1973, and later reprinted in a popular collection of his essays, Against the Current, in 1981. The term has had wide currency since. Joseph-Marie, Comte de Maistre was one of the more prominent altar-and-throne counter-revolutionaries who vehemently opposed Enlightenment ideas.